Chess South Africa on behalf of FIDE and the Commonwealth Chess Association organized the 2011 Commonwealth & South African Open Chess Championships. The Championships were played from Saturday 25th June 2011 until Sunday 3rd July 2011. The playing venue was at the Emperors Palace Hotel Casino & Convention Resort in the City of Ekurhuleni in Gauteng, South Africa. Guaranteed total prize fund was raised to R205 000 = approx 20.000 EUR. The South African Open Blitz Championship 2011 was played on 25th June and England’s GM Gawain Jones convincingly won the title with a crushing 9/9 score. Second is Indian hope IM Grover Sahaj with 8.0 points. The Open events continued with massive participation of 388 players in the Main Event and 324 in the B Section. 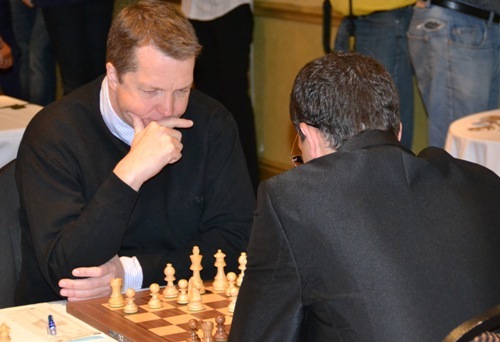 After the exciting finish two English Grandmasters, Gawain Jones and Nigel Short, shared the first place with 9.5 points each. 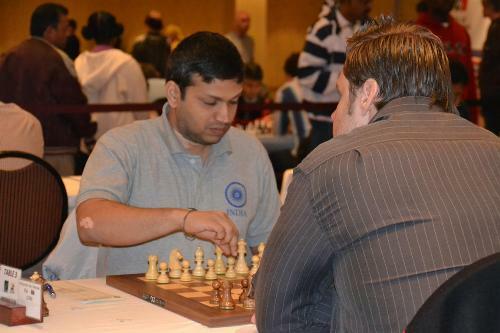 In the last round they defeated GM Abhijeet Gupta and GM Pablo Lafuente, respectively. 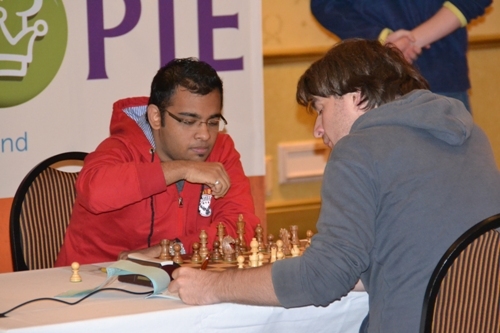 Short succeeded in his intentions revealed in an interview with Vijay Kumar, however Jones was declared the winner on slightly better tiebreak score. German junior IM Niclas Huschenbeth reached excellent position in the shared 3rd place.